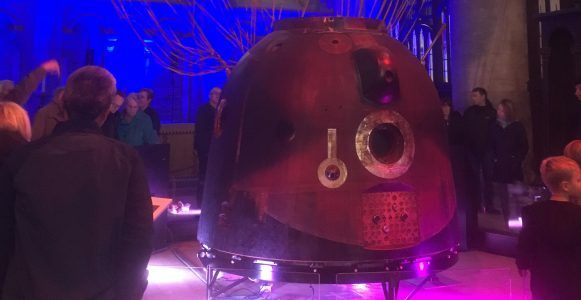 We are delighted to announce that the Science Museum in London has given us special permission to have a touch tour of the Tim Peake Space Capsule at Peterborough Cathedral. This is a great honour and we would like as many of our members and anyone with a visual impairment to take advantage of this very special session. The event will take place on Tuesday 25th September from 6.30pm to 8.30pm. A representative from the Science Museum will be there and you will be asked to wear the gloves provided by them in order to touch the capsule. The event is aimed at anyone with a visual impairment but you will be able to bring your family/friend or carer with you. Places are limited so booking can only be done through Peterborough Association for the Blind. Call 01733 344844 or email info@mypab.org.uk and leave your name, contact number, whether you are a member (or would like to become a member) as well as name and contact details for anyone attending with you.